The following originally appeared in an assessment of actor Chris O’Dowd’s movie career I wrote in 2016, but that post was getting way too long, so I’m breaking that content off and placing it here. I mentioned in that post that O’Dowd, after his appearance in the 2011 film Bridesmaids, kept taking roles in movies that were awful – the characters he played were awful (sexist, violent, profane, or what have you), and the movies themselves were terrible (terrible or boring story-line and so forth). That O’Dowd was able to afford a $870,000 home in West Hollywood (see information below) tells me he’s not hurting for money, although he complained in a few interviews that he wasn’t paid enough to play the character of Nathan Rhodes in ‘Bridesmaids’. I assume O’Dowd paid for this home in one lump sum (he talked about being flat broke after buying it), and that he is not paying a monthly mortgage on it. I cannot wrap my head around this, either. -He’s usually not on the screen more than about 5 to 10 minutes in total in most of the films I have seen him in. How can someone doing so little film work, who is not as well-known as a Tom Cruise, a Robert Redford, or a George Clooney, be getting paid so much money for so little work? I have no idea how much O’Dowd was paid to play Rhodes in ‘Bridesmaids,’ but he complained in one interview the pay was not much (he said, “the pay was not brilliant”). Dude, if they paid you anything from $1,000 to $5,000 (one to five thousand) or higher to play Rhodes, you don’t have much room to complain. What did they pay you for that role – $10,000? $20,000? Was it six figures? Getting paid anything over one thousand bucks for what comes to what, two weeks to a few months of shooting a movie (I have no idea how long it took this guy to film his scenes for this film), and you’re only on screen for a total of like five minutes, is a blessing. Most Americans have to toil away at tedious 9 to 5 jobs, Monday through Friday, sitting in a grey cubicle, where they may earn only up to $30,000 to $45,000 a year. O’Dowd was in his early 30s at the time he was playing Rhodes, who was a state trooper – a state trooper’s yearly salary is something like $30,000 to $45,000. If you, O’Dowd, were paid $30,000 to play Rhodes, you were making in the two weeks (or two months) it took you to shoot this film what it would take a “real life” Rhodes twelve months of straight Monday – Friday work to earn, so please, kindly stop complaining about the ‘Bridesmaids’ part not supposedly paying you enough. Most people are not getting paid figures like $10,000 (or more) dollars to appear in a movie that only took three to whatever number of weeks of work to shoot, okay? The 34-year-old actor from Boyle, Co Roscommon explained that funding his move to Los Angeles to pursue his acting career left him with no money. O’Dowd said: “I bought a house… I put all of my money into this house and then hadn’t worked for six months. I was just really broke so we got our cable turned off and all that kind of stuff. O’Dowd added that his bank balance didn’t improve drastically after Bridesmaids as he became more “picky” with his roles. Note: I found out from online real estate resources that listed the home O’Dowd bought that O’Dowd paid something like $800,000 to $870,000 for his West Hollywood home (more on this below, with links). I take it O’Dowd paid for that $870K in cash, in one lump sum. 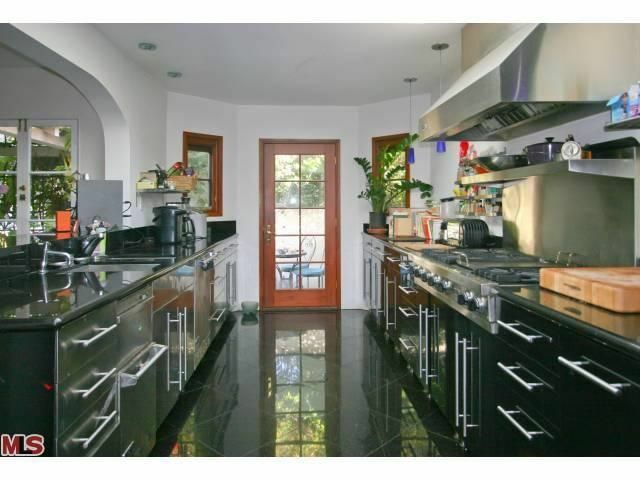 I seriously doubt he’s paying a mortgage on that West Hollywood home. Consider that most Americans, who work regular 9 to 5 jobs, have to pay $1,000 or more per month in a mortgage that takes them decades to pay off, for homes ranging in price from $100,000 to $250,000. And O’Dowd complains about not being paid enough for his role in the “Bridesmaids” movie, or he complains about being broke at that time??? MOST PEOPLE CANNOT AFFORD TO PAY CASH UP FRONT FOR A $870,000 house!!! I think O’Dowd moved to the Los Angeles area and is still living there (last I read) – well, L.A., like New York City, has a high rate of living expense – and even small homes in or around Los Angeles cost a fortune. You chose to move to a city that’s expensive to live in, O’Dowd. That’s on you. From Washington Post, 2015: The most expensive cities in the U.S. Yes, some articles report that O’Dowd and his wife, in 2013, spent approximately $870,000 to buy a 3 bedroom home in West Hollywood, California that has a pool. Okay, yes, another site verifies this. Arivify site says that the owner name of this address is “Christopher Odowd” (link to that). That site says they bought that house from someone named Gayle Davidson, who (another site said) ran a business from that home called “La La Music.” Looks like closing day was May 24, 2013. You can view outside and interior photos of that house on Realtor.com’s site. More info and photos via Trulia. More via Realty Trac. You can view that home’s location on Google Maps (map view), and you can also choose, once on that page, to view it by Street View. According to the Build Zoom site, O’Dowd and his wife got their bathroom remodeled around September 2014 by Supreme Remodeling Inc.
You can compare some of those real estate photos of the home with ones that apparently were taken in whatever house O’Porter (O’Dowd’s wife) puts onher Instagram feed, such as – photo, photo (she says this one was taken in her office -don’t know if that is a home office or what), photo (bedroom), photo (bedroom) and kitchen photo. 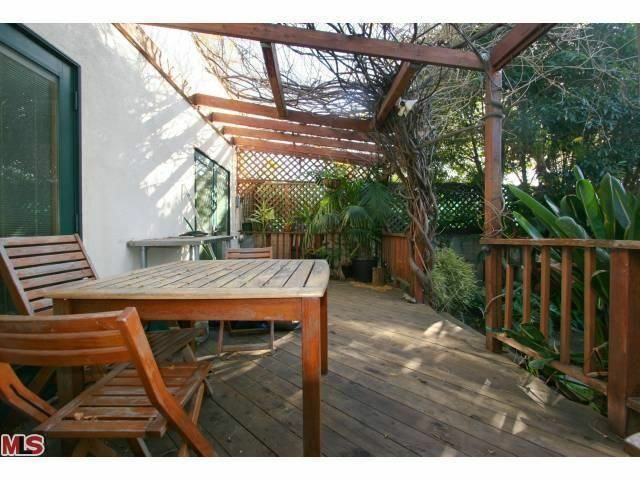 Compare O’Porter’s Instagram patio photo to the photo of that patio on Realtor’s site. I suppose I should mention I am not a creepy stalker type. I have no intention of looking up O’Dowd or any of his family and actually visiting his home in person. If all that is so, if O’Dowd is currently worth 12 million – and he was able to pay about $870,000 for a house (and all at once, not via a mortgage!) – he’s not hurting for money. There is no reason for O’Dowd to keep accepting terrible movie roles in terrible movies. O’Dowd once said in some interview a few years ago that after ‘Bridesmaids,’ he kept being sent scripts for second-rate rom coms. He said he refused to appear in those second rate romantic comedies – he apparently felt they were “beneath him,” and that he deserved better scripts. O’Dowd’s film career would’ve been better served had he been in those mediocre Rom Coms than in the horrible dreck he ended up appearing in later, including the recent (released in 2018) NetFlix movie “The Cloverfield Paradox,” which was mocked and disliked by everyone, including professional movie critics (more on that awful movie here). A second rate Rom Com is a billion times better than a grade-Z, or 456,347-th rate movie such as ‘Cloverfield Paradox’ (and many of his other post-Bridesmaids movies) that was so awful that it was ditched by the movie studio as being a turkey, so that it was not shown in theaters, but sent to Netflix. Anyone who can afford a $870,000 home in one lump sum but then has the audacity to complain about not being paid enough for 6 minutes of film time in a widely released Hollywood movie gets no sympathy from me. (Edit. January 2019) – Second Home in Europe and a Castle In Ireland?? A few days ago, when I was researching information for another, separate blog post I wrote on O’Dowd, one item that turned up in the search results (and I didn’t save the link for this, I’m sure you can find it if you search for it), is that O’Dowd owns a second home with his wife in the south of London, and he, at some point, put a down payment on a castle in Ireland that was once in his family tree. If you have enough effing money to pay for an $870,000 house in one lump sum, AND enough money to own and maintain a second residence in London, AND you put a down payment on a friggin’ castle in friggin’ Ireland, you are obviously not hurting for income. This guy doesn’t even appreciate that role in that movie and tends to mock women (which I’ve documented about in previous blog posts) in interviews (such as myself) who did like the movie and/or the character. What an entitled, spoiled man-child he is.